Qian Depei, professor at Sun Yat-sen university and Beihang University, dean of the School of Data and Computer Science of Sun Yat-sen University. He has been working on computer architecture and computer networks for many years. His current research interests include high performance computer architecture and implementation technologies, distributed computing, network management and network performance measurement. He has published over 300 papers in journals and conferences. 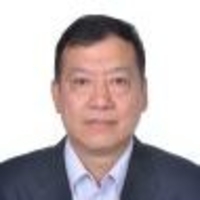 Since 1996 he has been the member of the expert group and expert committee of the National High-tech Research & Development Program (the 863 program) in information technology. He was the chief scientist of three 863 key projects on high performance computing since 2002. Currently, he is the chief scientist of the 863 key project on high productivity computer and application service environment.